Trouble is one of the facts of life - how do we deal with it? The Book of Psalms resonates with experience, so can help us to deal with it; it is a help in worship and life. It is good to share your testimony, so that your experience can help others! David was one who experienced a life of blessing, elevated from being a shepherd to a king. But his life was also full of trouble, being pursued by king Saul for a long time, and having a couple of rebellions, one led by his own son, who was killed. He was often afraid, often in trouble. And much was his own fault; the results of his sin with Bathsheba were far-reaching! Are you, like David, afraid? He had lots of reasons! Many do not apply to us, but there are many others. Of what are you afraid? The psalm gives confidence, but is it wishful thinking? Is it unrealistic? What was David's solution (Ps 27:4)? The presence of God, who does help us to deal with our troubles, both in the immediate, but also in the gift of eternal life, when all troubles are past. David rested in the ultimate good. When we know the reality of God, all else loses significance. Paul could speak of his troubles, far more than most of our's (see 2 Cor 11:23f) as light and momentary (2 Cor 4:17)! As Christians, this is fulfilled in Jesus, who facilitates the presence of God with us. The Psalm gives us three results of this. We can know that God is with us. Such assurance is not there in the OT, but we are forgiven - through Jesus. But although God gives us access to Him, do not exclude yourself! Teach me your way (Ps 27:11) - so we may not make mistakes and cause trouble - much is our own fault! We can know the way - through Jesus (Jn 14:6), not just of final salvation, but of immediate need. Do not think that you know better than God! The Bible often promises blessing, but in obedience (see Deut 5:32-3). 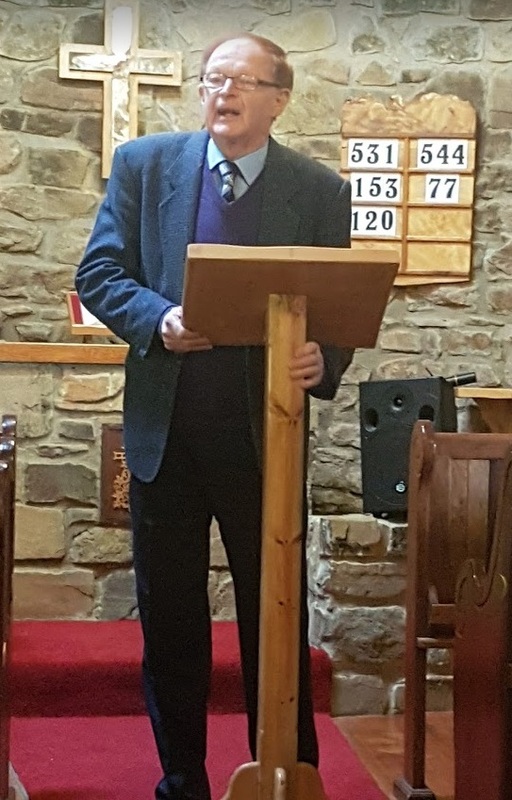 We were very blessed to have Colin Chambers with us last Sunday. His message was truly inspiring and we will remember the one thing that he told us to: Do what Jesus tells you to do!!! SIGNS (miracles) which point to who Jesus is. 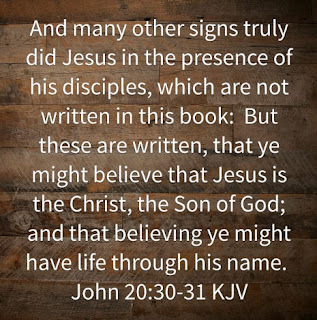 LIFE- the result of believing in Jesus. I loved the way that he took us through the miracles Jesus performed as recorded by John, pointing out that, apart from Him walking on water and calming the storm, they were all a blending of the Divine and the human. People were told to do something when Jesus performed the miracles. Water to wine. They had to fill the jars with water, which they did and Jesus turned it to wine. The lame man who had not walked for 38 years had to pick up his mat and walk. He did it, his legs were healed and he now carried what had carried him for 38 years. The feeding of the 5000 plus people. They were told to sit on the grass - those who were seated received the multiplied bread and fish. The man born blind - Jesus made clay from dust and His spittle and put it on the man's sightless eye sockets (Colin's thought, Jesus created eyes for him). He then had to go and wash his face in the Pool of Siloam which he did and went home seeing. How to deal with a problem in one's life? Jesus said I am the resurrection and the life. In other words whatever your problem may be - Jesus is the answer or can provide the answer. we have to identify the problem and what the answer is and accept that Jesus is or can provide the answer. BUT - a key, "do you believe it ?". 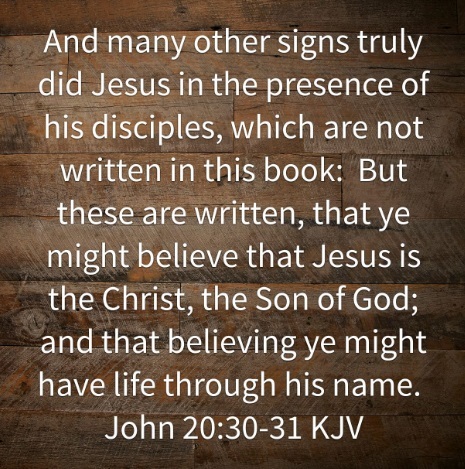 Do you believe that Jesus is or can provide the answer. Then - "Where is it". Where is the root of the problem (could be fear, jealousy, greed, basically whatever). This is important to not only identify the problem, but to be ruthlessly honest and identify the real cause of the problem. Then - "Roll away the stone". Expose the problem, the root and the cause to Jesus (in candid prayer), and invite Jesus to take over and deal with it. Jesus brought life out of death - completely dealt with and removed the problem. But they had to roll away the stone and uncover the problem to Jesus. Another blending of the Divine and the human. And finally, Jesus gave life, but they had to give liberty, because Lazarus was bound him up in cloth. So they had to DO something. So, what we took from Colin's sermon is that we must not just ask for miracles and expect God to do His thing, we also have to be prepared to Do something! !